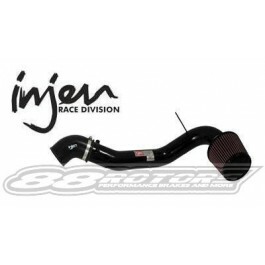 Injen Type RD (Race Division) intakes are one of the best cold air intake systems available in the market. 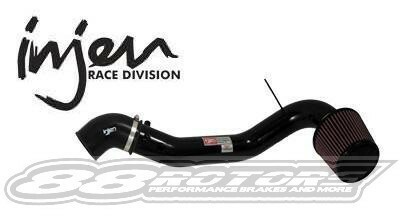 Injen Race Division Intake Systems are specifically engineered to deliver peak horsepower and torque. This is made possible by drawing air from an isolated area away from the heated engine compartment. So with the induction of cool air, the engine responds more efficiently, the power band is raised, and peak horsepower and torque are raised. Almost every Race Division application has been designed as a one-piece application to ensure smooth air flow. Each kit comes with all necessary hardware, including CNC machined brackets that are tig welded to the intake.